This week our signals made the total profit of +227 pips. Our last unit from the USDCAD long trade opened on Friday hit the trailing stop today at 1.2668 for the total profit of 167 pips. 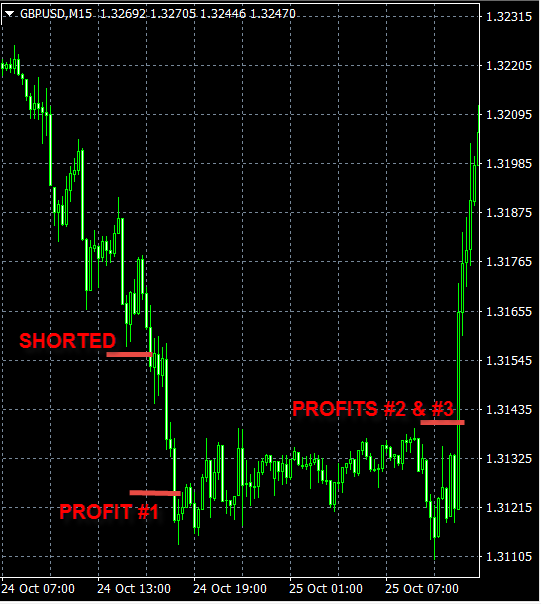 Our today’s Forex signal made +60 pips profit and one unit is still open with the stop-loss at additional +98 pips of profit. Our Forex signals made +80 pips this week. 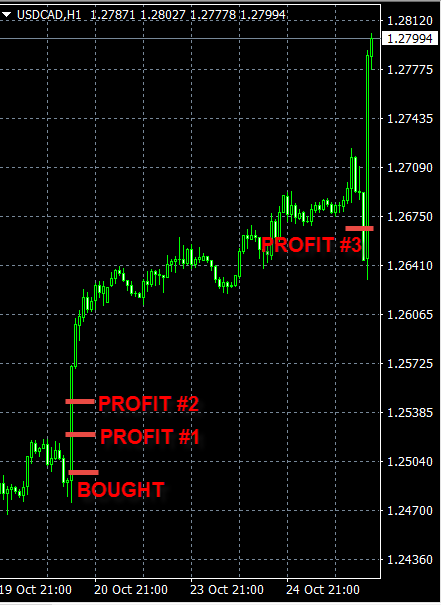 One unit from our USDCAD trade is still open with the current stop at +140 pips profit now (see the previous post). Due to the Thanksgiving weekend in Canada, this was a short trading week for us. 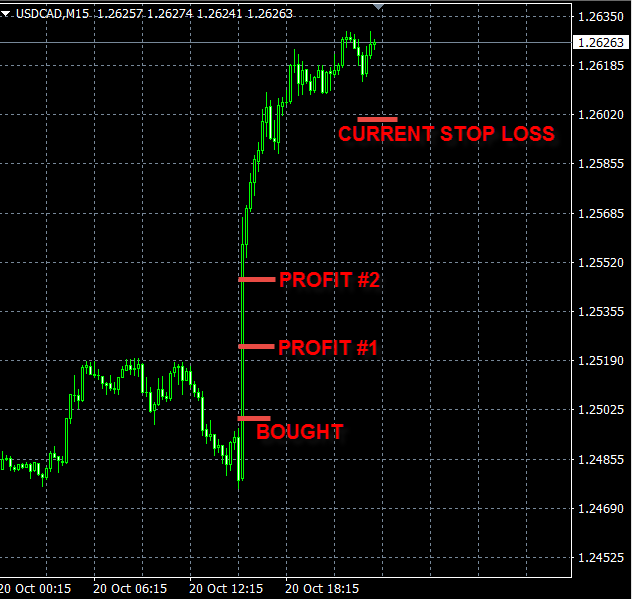 Our short sell USDCAD signal on Tuesday resulted in a net loss of 60 pips. During the rest of the week none of our signals were triggered. Therefore the total result for this week remained at the -60 pips loss.